Gartner magician at work. It's no yolk; watch the egg become a magic quadrant. The quick and dirty CIO array supplier shortlist, otherwise known as Gartner's Magic Quadrant for general-purpose disk arrays, has Huawei, Quantum and Infinidat all making big progress since last year. The leaders' box (see chart below) is crowded, with eight vendors jostling for space. 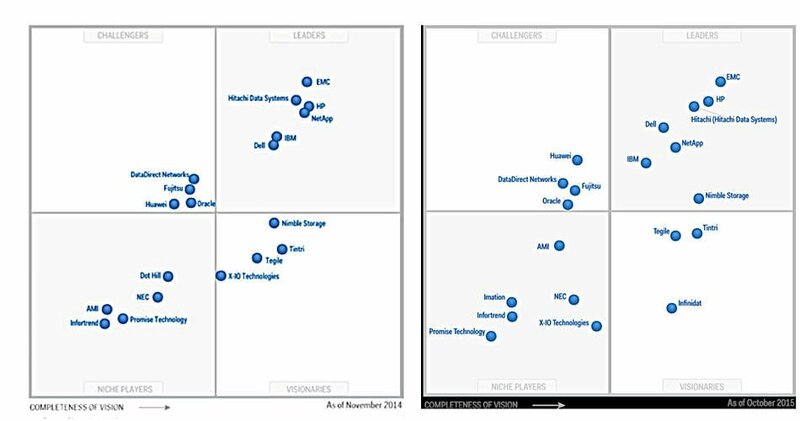 The top three are Dell EMC, HDS and HPE in a tight group. Hot on their heels come NetApp and Dell Technologies, with IBM next. Huawei has made a big jump from challenger to leader. Its steady progress from 2014 and 2015 to this year can be seen in the charts below. Nimble Storage is also in the leaders' box. The niche players' box sees AMI and Imation vanish as qualifying suppliers. The challengers' box has a new entrant: Quantum appears in the Magic Quadrant for the first time, showing the progress made by Jon Gacek's company. 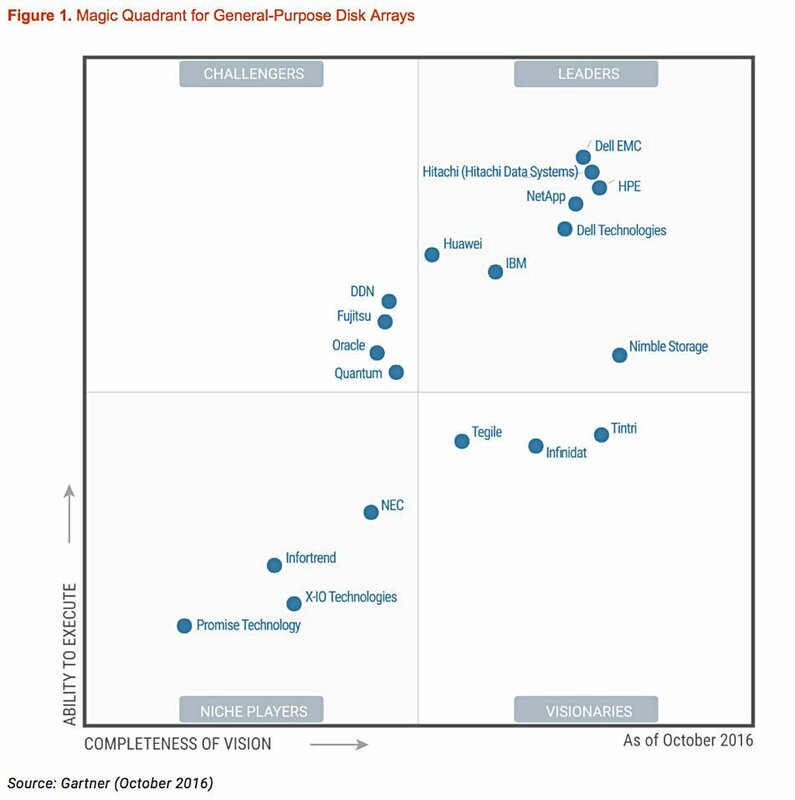 Gartner disk array MQ, 2014 and 2015. Enlarge by clicking the image. The survey gives Infinidat a pat on the back with promotion to a higher place in the visionaries' box. Equivalent progress in the next 12 months would see it take its place among the leaders.